God in HIS infinite Wisdom called home to eternal rest HIS beloved son, Thomas E. Johnson, on Tuesday, January 23, 2018 at Med Star Southern Maryland Hospital. Thomas E. Johnson was on December 18, 1933 the late Tolson Johnson and Elizabeth Bryant. Thomas was the first born of 10 children and preceding him in death, two sisters, Colleen Johnson and Pauline Smith, two brothers, Richard Bryant and Lawrence Bryant and one daughter-in-law Tammy Johnson. Thomas attended King George County public school system. He met and wed Lillian Butler, during their union they had two children, Thomas E. Johnson, Jr. and Maria Johnson. Thomas also had another daughter Janice Smith. Later in life Thomas married Selena V. Watts and they moved to Seat Pleasant, Maryland. Over the years Thomas worked as a truck driver for several construction companies: Marveco Construction, Silver Hill Construction and Roger Brothers Construction. With a desire to be an entrepreneur, he started his own trucking company “Johnson Trucking” in which he retired in 2005. 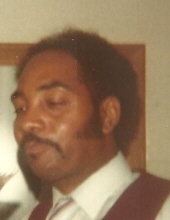 Thomas is survived by his wife, Selena V. Johnson, of Clinton, MD, one son Thomas E. Johnson, Jr., of Brandywine, MD, two daughters Maria Johnson of Hughesville, MD and Janice Smith (Victor) of San Antonio, TX, four stepchildren, Jane Washington (Michael) of Waldorf, MD, Illinois Watts-Brooks of Clinton, MD, Raymond E. Watts, Jr. of Upper Marlboro, MD and Merilyn Watts of Capitol Heights, MD., one brother, Randolph Bryant (Kim) of Baltimore, MD., four sisters, Edith Jett (Frankie), Anita Triplett (Claude) both of King George, VA, Mary Beverly (William) of Brookneal, VA and Shirley Martinez of Colonial Beach and four grandchildren. Illinois Watts-Brooks being a devoted step daughter helped take care of Thomas during his time in need. To send flowers or a remembrance gift to the family of Thomas Edward Johnson, please visit our Tribute Store. "Email Address" would like to share the life celebration of Thomas Edward Johnson. Click on the "link" to go to share a favorite memory or leave a condolence message for the family.